Electricity has reached Minecraft worlds. 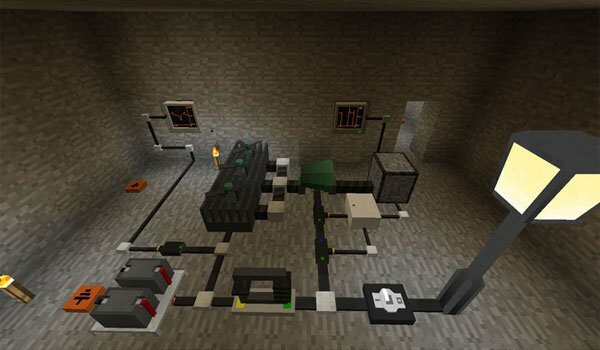 Electrical Age 1.7.2 and 1.7.10 is a mod that adds a lot of objects obviously related to electricity, whether if its for its production, distribution or use, allowing you to industrialize your cubic worlds. 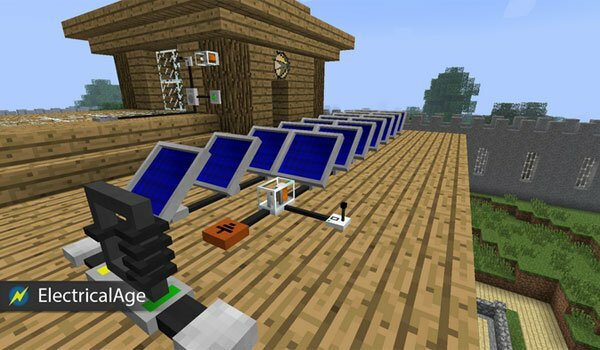 As mentioned, the mod adds objects to generate electricity, such as windmills or solar panels, distribution elements such as cabling, storage, such as batteries, but there are more items like the sensors, alarms, ovens, capacitors, switches, lamps, flashlights, drills and more. This will allow us to use the energy generated by the machines, and that will let you do very different things such as as teleportation. The purpose of this mod is to provide an electrical simulation with resistive and capacitive effects. This mod adds over 150 items among objects and blocks. This mod is in Beta stage of development. How to install Electrical Age Mod for Minecraft 1.7.2 and 1.7.10? Electricity invades your peaceful worlds of Minecraft!